The Chess School is proud to present the online version of Think Like A King®, the perfect tool for any scholastic chess program. With tools to Manage, Motivate and Educate, TLAK is the perfect system for your scholastic chess program. The combination of Chess Club Manager™ to run your program plus the Chess Workouts™ to make learning easier and more effective than ever before gives you unbeatable tools to make chess a success at your school. Everything is online, accessible anywhere, anytime, with no need to install anything on school computers. Think Like A King gives you the tools you need to optimally apply the principles of modern learning science to drive success for your entire group - so that no one (especially the kids who need chess the most!) will get left behind. 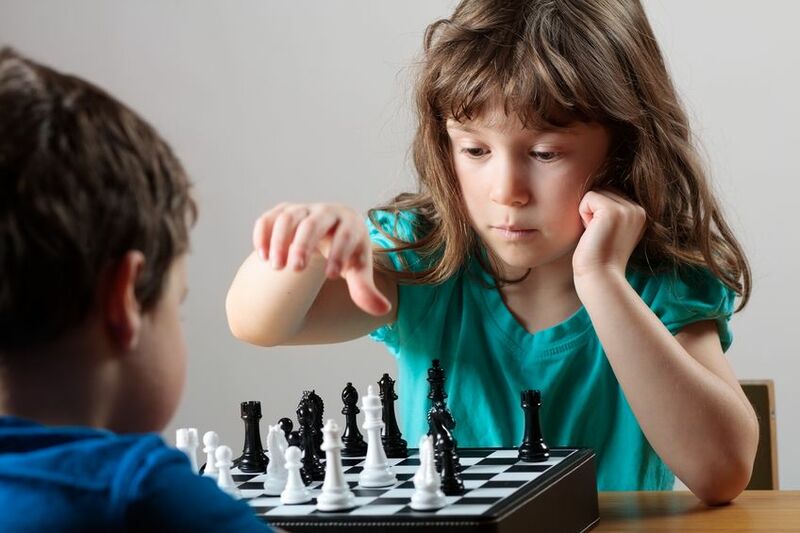 Read our Key Concepts sections to learn why the difference between an Educational Chess vs. Scholastic Chess philosophy may be critical to your program’s success. You will be amazed at how easy it is to use, how much it energizes your entire program, and how quickly your players will start learning to Think Like A King. And isn’t that the whole point of having a chess program in the first place? Reward learning effort and participation; keep everyone—not just the best players—excited to learn great thinking skills! Register yourself and your school in the system. It doesn’t matter if you’re a coach, a parent, or a school official. You become the Club’s temporary Head Coach, but you can Invite someone else, or add Assistant Coaches, anytime. They all get access to Chess Club Manager’s great online tools. Let the Learning Begin with the Chess Workouts. Choose whether you want every player to have access to the Chess Workouts comprehensive learning system with a Club Subscription, or just have players sign up on their own. Either way, you’ll have the best suite of chess learning and management tools ever created for schools! And it’s not just for the kids. Parents can log on too, track their kid’s chess progress – and even get FREE access to the same Chess Workouts! Now chess – and thinking – can become an activity for the entire family. It’s a great way to get parents to participate in your school’s premier activity. Invite prospective members to join your club. Chess Club Manager automatically sends a personalized email Invitation from the Head Coach to every prospective member at the click of one button. Replying by clicking a link within starts their FREE enrollment in The Chess School - and they automatically appear in your Club Roster! Now you’re ready to start making chess your Official School Sport. © 1997-2016 Food for Thought Software, Inc.